Considerate Constructors Strike Gold Again! Robert Woodhead Ltd, has taken home a Gold award at this year’s National Considerate Constructors Awards. Woodhead achieved a fantastic score on its assessment of its work at High Oakham Primary School in Mansfield last year. The site team was awarded 42 out of 50, while carrying out necessary heating replacement works. The project was so highly commended by the CCS assessor, it was put forward for a national award. The Considerate Constructors Scheme’s National Site Awards recognise those building sites registered with the Scheme, which have raised the bar for considerate construction. Since 1999, the Scheme has been rewarding the UK’s most considerate sites for the contribution they have made towards improving the image of construction. 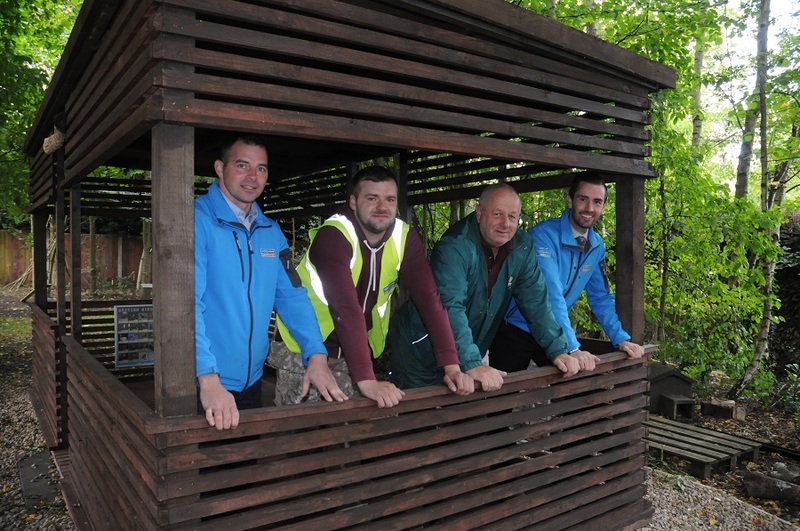 During the project at High Oakham, which was delivered for the ARC Partnership and funded by Nottinghamshire County Council through the empa framework, the site team spent time on top of its initial programme of works, building a woodland shelter in the school grounds, bringing a disused area of woodland back into use. 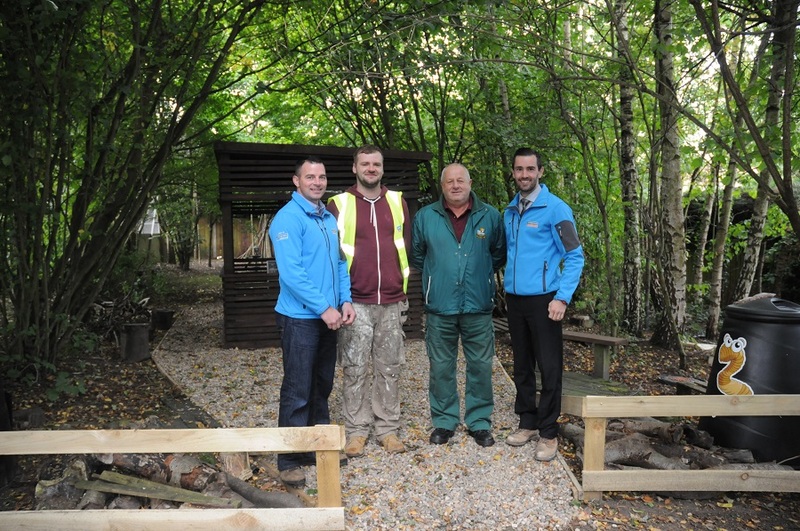 Woodhead teamed up with the school, its local sub-contractors and the Woodland Trust to construct a timber sheltered learning area, surrounded by an environmental garden. The shelter includes seating for the pupils and educational posters on the inside walls about different aspects of nature and the environment. Already a popular site for squirrels, birds and insects, the area has been transformed into a learning environment featuring insect hotels, bird and squirrel feeding areas. Mark Maisey, Woodhead’s Team Leader for Nottinghamshire, said: “We’re delighted to have had this site recognised nationally. I’m so proud of site manager, Colin Kear and Project Coordinator, Gary Nicholson, and their team for turning a simple heating replacement programme into something that had such a positive impact on the school. Arc Partnership is a joint venture developed by Nottinghamshire County Council and Scape Group to work closely with local communities, providing value for money, treating people fairly and creating a better built environment for everyone. 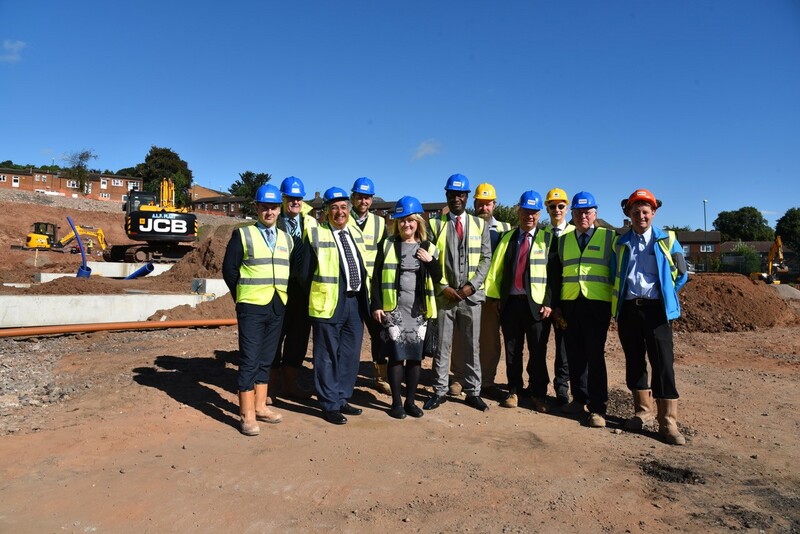 Kevin Taylor, Project Manager for the Arc Partnership, said: “Arc Partnership is delighted that the exemplary work delivered by the site team of Robert Woodhead has been recognised again by the Considerate Constructors Scheme. Woodhead also took Bronze at the Considerate Constructors Awards for the former Morley school site in St Ann’s, Nottingham, which has been turned into council homes for Nottingham families on behalf of Nottingham City Homes and Nottingham City Council. Its project for the RSPB, in partnership with Nottinghamshire County Council,s building the brand new £5m Sherwood Forest Visitor Centre, was also commended with a Bronze award, for its Phase One works.